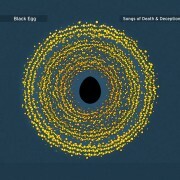 The new album of BLACK EGG called « Songs Of Death And Deception » (UPR 027). This release a very cold, warm an romantic folk with acoustic instruments in the vein of Nick Cave & The Bad Seeds, Frank Tovey, Wovenhand, Johnny Cash, Death In June, Leonard Cohen, Rome, Lou Reed, Spiritual Front or Michael Gira. During the dark eighties in France Usher formed part of the cult cold wave band Norma Loy. There are 16 amazing songs on this album, (+ 1 bonus version in digital) published in compact disc digipak strictly limited edition to 500, and you can also buy and download it in digital. « Songs Of Death And Deception » is an another great way to learn more about this amazing songwriter here in France. You’ll listening beautiful lyrics and vocals, melancholic songs and all this things what stands for good folk noir music. They are supported by french pop stars Dominik Nicolas (ex-Indochine) and Etienne Daho himself. They brought back Electro Clash revival on the french scene in 2012 with their first release “From The Waves”, then were acclaimed with their physical releases too (“Sadisco”, “Sadisco r3mix3d”, “Birds fallen from Heaven” & “Cold Diamonds”) by both underground music critics, alternative european charts and synthpop audience in search of hight quality. 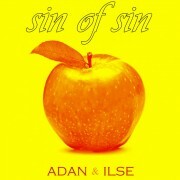 Now, the french electronic music has a sound, a face and a name : ADAN et ILSE. 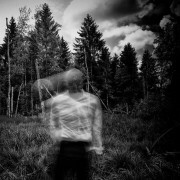 Normotone is the solo project of Bruno Laborde. Over the past 20 years, Bruno has formed part of Axonal Warfare (1994-1997) and Neon Cage Experiment (2003-2006), he worked with Architect on “Consume Adapt Create” as well as producing remixes for such artists as Black Egg, Polygon, HIV+, Ex_Tension, and signed on Tympanik Audio for his first solo album. A deeply personal new album of Normotone‘s sounds like a mixture of Ben Frost, Coil, Autechre, Death In June, Einsturzende Neubauten or Mondkopf. Normotone now joins the Unknown Pleasures Records family to present his second album ‘Hiraeth‘. Each track featured on this album has its own story, while remaining an integral part of a cohesive album. Under the predominantly raw layers of cold electronica, apocalyptic folk, rhythmic noise, heavy glitchy rhythms and contemporary dark ambient music with a sonic edge. A collaborative effort among well-renowned artists including Black Egg, Sonic Area, Corina Nenuphar and Thomas ‘Lysis’ Brunaux. 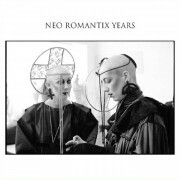 The death of Steve Strange gave us the urge to work on covers of Neo-Romantics/New Wave bands of the early 1980s. We have selected great covers of this period of great creativity with analogue synth wave / minimal wave gems. No remixes and no cheap dance music. Comes in a lovely digipak 3 panels deluxe with artwork by Yannick Rault based on original picture by Graham Smith glossy imprint with selective varnish laquer. 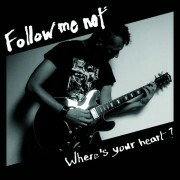 Here’s the 7th release from Follow Me Not, a shoegaze, post punk and cold wave type of solo project from France.